When it comes to bikes, Suzuki has carved an image in the minds of consumers unlike any other brand. With an offering in every price segment, it has tried to penetrate into all the segments of users. The newly launched Suzuki Gixxer SF took the bike world by storm when it was initially launched. It redefined what value for money is and the overall design language of the bike is absolutely stunning. 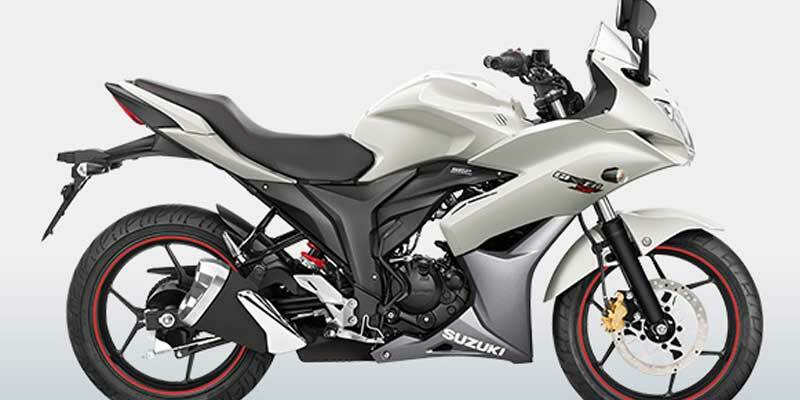 The Gixxer series of bikes from Suzuki has never failed to impress us and even the new SF version lives up to the mark. Let's see the various pros and cons this bike has in the below mentioned points. These are the various advantages that the bike will give you, there are lots of them but below are the most popular ones which consumers have loved in the Suzuki Gixxer SF. You will find no other bike in the same price segment which looks as lovely as the Suzuki Gixxer SF. The bike has been given a complete sporty look with a bulky front and a slim end. Considering its price, the design is just spectacular and is meant to impress onlookers. The Suzuki Gixxer SF is equipped with a digital instrumental console which includes a speedometer, tachometer, odometer, trip meter and a digital fuel gauge. It will also help you to know if you reach Suzuki Gixxer SF Top Speed while zooming through a highway. The sporty bike comes with a 155 cc single cylinder air cooled engine and it is capable of producing 14.6 Bhp @ 8000 rpm and has a torque value of 14 Nm @ 6000 rpm. Suzuki Gixxer SF Top Speed can reach up to 130 km/hr due to its powerful engine if you are riding on a suitable road. The ex-showroom price for the Suzuki Gixxer SF is mere Rs. 85,373. Getting a bike as good as the Gixxer SF at this price is simply a deal worth stealing. The value for money factor for this bike is quite amazing, if you are looking for a sports bike within a good budget, this is the best choice for you. Although there are so many pros for this bike, there are also some disadvantages that you might face if you choose to buy this bike. Thus, it is better to know the cons before you go ahead and purchase it. There is no 6th Gear in the bike and thus it can hamper the experience of bikers who have always loved to clock the Suzuki Gixxer SF top speed on free roads. If you are looking for a speed monster, this bike can be disappointing at times. There is no ABS feature included in this bike. It is an important safety feature these days when road accidents have become so frequent. Suzuki must introduce a new version of the bike with ABS which can be the perfect package for a bike lover. As we have seen, there are many pros and some cons for the Suzuki Gixxer SF as well. However, the deciding factor lies upon what your immediate priorities with your bike are. If you feel that the cons don’t matter to you and you are fine even without them, it is definitely the perfect choice to make. In case you feel the cons are really huge disadvantages that will ruin your riding experience, you must try looking into other alternatives.